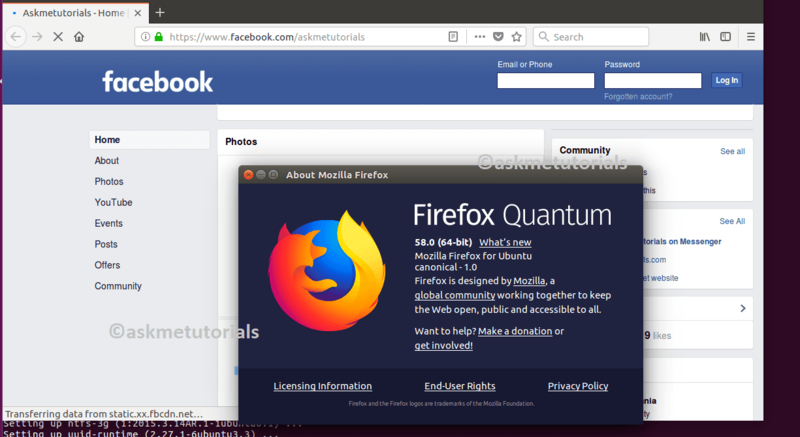 In this Tutorial I will show you how to install Firefox 58.0 on Ubuntu 17.04 / 16.04 LTS /14.04 LTS,LinuxMint 17,Fedora 27 and CentOS 6.X / 7.x. Firefox most commonly used browsers by everyone and one of the standard browsers too. What's New in Firefox 58.0? User profiles created in Firefox 58 (and in future releases) are not supported in previous versions of Firefox. Users who downgrade to a previous version should create a new profile for that version. So how to install Firefox 57 on Ubuntu / LinuxMint / CentOS?